Key difference: White sugar is the refined sugar most people use on a daily basis. Brown sugar is white sugar with molasses added back in. Nutritionally, brown sugar is the same as white sugar. White sugar and brown sugar are two of the most commonly used types of sugar today. As brown rice is healthier than white rice, and brown bread is healthier than white bread, many consider brown sugar to be healthier than white sugar. However, this is not the case. Nutritionally, brown sugar is the same as white sugar. In fact, brown sugar has slightly more calories than white sugars. 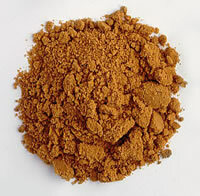 Still, brown sugar has gained a lot of popularity today and is commonly used in baked goods. Sugar is processed through a long process. First the juice is extracted, and then purified with lime and heat. Then it further processed, and it eventually separates into sugar crystals and molasses. The sugar crystals are bleached and refined to give the end product, which we buy at the supermarket. This is the traditional white sugar. Brown sugar, which has gained popularity today, is white sugar with molasses added back in. Molasses is a by-product of the sugar production process and of the sugarcane fiber. When brown sugar is referred to as “raw sugar”, it is the sugar that has not been fully refined. This is before the process of removing molasses from the sugar crystals. However, commonly available brown sugar is the refined white sugar with added molasses. Brown sugar varies from light brown sugar to dark brown sugar. Not only does this refer to the color of the sugar, but to the volume of molasses in the sugar. Light brown sugar contains 3.5% molasses of total volume, whereas dark brown sugar is 6.5% molasses. Regular brown sugar contains up to 10% molasses. Brown sugar is generally soft and sticky; however, it can be refined to be more free-flowing. In terms of flavor, light brown sugar has a more delicate flavor, while, the very dark or "old-fashioned" style of brown sugar, has a more intense molasses flavor. As specified before, both white sugar and brown sugar are similar in nutritional content. One hundred grams of brown sugar contains 373 calories, while a hundred grams of white sugar contains 396 calories, but, brown sugar is denser than white sugar. So, in a cup, there is more brown sugar, than white sugar. Hence, a cup of brown sugar contains more calories than a cup of white sugar. However, a cup of brown sugar also contains traces of a number of minerals, such as calcium, potassium, magnesium and iron, as compared to a cup of white sugar. Still, there are only very small amounts of these minerals present in brown sugar and they don’t actually make any significant impact on the body.